Forza Horizon 2 is the sequel to the 2012 hit and is set at a fictional car festival (Horizon) that has you visiting one hipster party drenched location to another. Unlike the first game this is very much fleshed out as an open world racer and you and your friends will have a ball playing this. The Xbox One is not even a year old and this is one of the prettiest games to also grace the console. Is Forza Horizon 2 worth spending your hard earned cash on? The world is reportedly three times larger than the original game which is quite apparent. Unlike the various restrictions in the original Horizon which had, amongst its flaws, indestructible fences, this is a mostly open world set in a fictional European setting. I do say mostly though, occasionally I have run into a guard rail that had no place being there, or a stone wall out in the middle of nowhere. You can generally race anywhere and the variety in the racing will demonstrate this to you very quickly. Forza Horizon 2 has taken free roam racing to a new level indicating that Playground Games learnt much from the original Horizon game. The famous Forza physics are all apparent, a tantalising arcade version of them. Long time Forza fans will feel right at home and will love buying all their favourites to race around with. Initially, you’ll only get a handful of cars to pick from. Win the first championship and all the cars become available. This game also does a good job of giving you a good feel for the variety of driving and racing, with you slowly unlocking the various modes and options as you progress. I found the host of the festival to be annoying but he doesn’t end up talking too you much once you start getting past the early stages so this isn’t much of an issue. The Championships are varied, cleverly integrated into the game and with about four races each (over 170 championships and 700 races approximately). In between these championships, you’ll be required to do a “Road Trip” (you can fast travel but in the early stages that will mean losing a bit of cash). Road Trips is a nice touch and gives you a chance to get a feel for the car before you actually hit the next championship race. Showcase events also make a return in this game and even though there doesn’t seem to be as many as the first game it has one that really stands out for me. You get to race against a speeding train. This has to be one of the most exhilarating virtual racing experiences I’ve come across. The train gets to run along a straight line while you are hurtling down a dirt road, taking a longer route, while having to deal with corners and bridges to get to the finish line. It is a fantastic challenge. This brings me to one of the best things about Forza Horizon 2. You can race the cars from manufacturer stock. This means in Forza Horizon 2, you can join the race in your freshly bought car and the other cars that fill out the grid (twelve in this case) will also be non upgraded models. This is a vast improvement as you don’t have to spend extra money on upgrades and you get to race the car as the manufacturer intended. With the various events you pick, it will also depend on what car you own as well. It will suggest a couple of events each time you prepare for a road trip but if you really want to drive cross country in a 4WD then you can find a championship that will support that car. You even get an option to buy a suitable car should you really want to do a specific event. Tuning is also back for the first time in a Horizon game. Those of you who love to tinker and dial in the perfect camber will be happy to see that the Forza Motorsport tuning options are present. All the livery and design options make a return too. Even at launch there are plenty of user custom designs ready to stand your car out from the others, particularly in one of the new modes, “Car Meet”. In this mode you can pull up simply to look at other peoples cars, challenge them to a race if you want to or even buy a similar car if you happen to love it. It is a nice touch to an already impressive list of new features. The Drivatars of Forza Horizon 2 will not just race on roads but will take cross country shortcuts and can even lead you to the collectibles you can find in the game. For those not familiar with the term a “Drivatar” is a cloud based AI representation of your driver. Just like Forza Motorsport 5 your “Drivatar” will race around while you are not playing and earn credits for you as it races against your friends. Another nice feature is that even if your friends don’t buy this game (they should), if they have played Forza Motorsport 5 you will still see their “Drivatars”. There is also AI traffic in this game but for most part they never get in the way and seem to provide enough of an avoidance challenge without getting too frustrating. Getting around Horizon is even easier now with the in game GPS and Kinect functionality. You can use the Kinect now to ask “Anna” to plot your next course, whether it be a race, hub or other area of interest (similar to NFS Rivals Easy Drive mode from last year). Another new feature to make this game is the “Bucket List”. This is a list of challenges (a little bit like the challenges from last game) that you can complete solo or with friends in multiplayer. In these scenarios you are usually racing much faster and high end super cars so you do get a chance to try them out before shelling out your hard earned Horizon dollars. Another new feature is the “Perk” system which allows you to gain skill points (by earning XP) to unlock little perks to assist you as you progress. One perk for example allows me to get double the credits my drivatar earns. The graphics are quite simply the best I have seen on any console racing game to date. All of the screenshots in this review were taken from the in game camera so I’ll let the pictures talk for themselves. Suffice to say the day / night cycle and variable weather is simply outstanding. The rain effects in particular look incredible from the in car cockpit view. The windscreen wipers turn on automatically when rain hits, as do the lights when night approaches. Turn 10 Studios and Playground Games really need to be congratulated here. I’m having a hard time even thinking of a PC racing game that looks this good. The sound and music are superb and always of the standard good quality found in a Forza game. 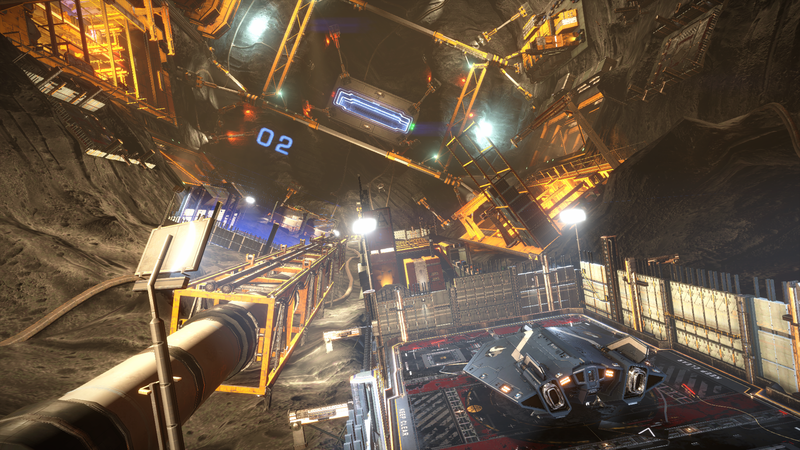 As you progress through the game you’ll unlock different radio stations in game. The musical choices are eclectic and entertaining, from soothing classical to modern beats as you cruise the party scene. The background noises are great and like all the other Forza games before it, the engine noises sound just right. All I would recommend here is setting the Car Emphasis in the sound settings (instead of the music) and then bumping up the car sounds a couple of notches again. I love hearing the sound of the engine and the road over the music any day (you can turn the music off altogether). This game is meant for socialising and racing with your friends. You can create and join car clubs. In this game you can have up to 1000 friends in your club. As you level the Tiers up in the club (by completing events) you will unlock bonuses for the members of your clubs. Multiplayer works particularly well in this game and is quite seamless in its integration. 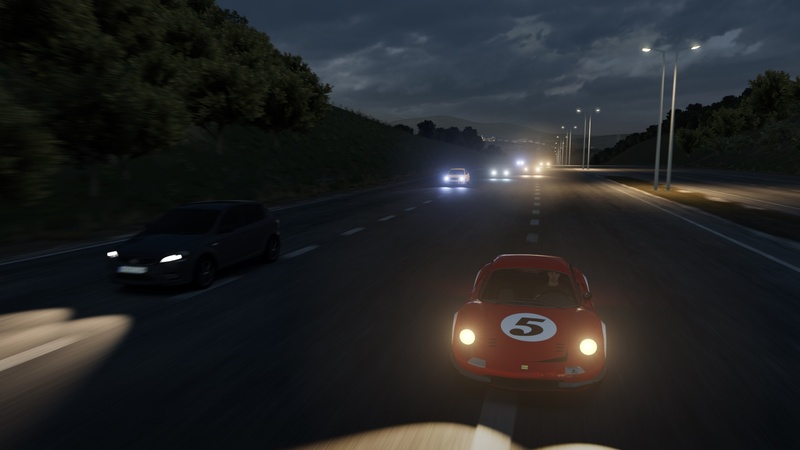 You can select to join a public lobby game with up to eleven other drivers or create your own private lobby and do free roam, races or a combination. The several multiplayer sessions I’ve had so far have been lag free and it seems to be much better in terms of net code than Forza Motorsport 5. This makes for a thrilling experience as multiplayer does support other game modes, like Infection, where you have to ram other cars to infect them until no one is left. The good news is, even if you create a private lobby, you’ll still gain credits and experience. You also get voting options within certain private lobbies as well so that other racers have some say as to what event they want to race in next. Unfortunately with every game, there are a few negatives. When you first arrive in “Horizon”, the introduction is appallingly hipster trash at its worst. I realise it is personal taste but I much rather liked Forza Motorsport 5’s introduction by Jeremy Clarkson and his love of cars. Thankfully you only see this once at the beginning. Despite the map being reportedly three times larger than the original Horizon, it still isn’t terribly huge for an open world game. For all their faults the Test Drive games excelled at having a decent land mass to race on. Whether it be due to lack of development time or not the only other slight drawback (that has always plagued the Forza games) are the lack of a modelled rear interior. I like being able to use the right stick to look behind me (even though the rear view mirror does a great job in this game) but it detracts a little bit when you go from an intricately detailed front cockpit to a full screen view of the world behind you. If all you do is race full screen or any of the outside views you wouldn’t even notice, but because I am an interior cockpit view fanatic, it is slightly distracting to not see the rear interior of the car modelled. Many other racing games have done this and I’d personally like to see the Forza franchise step up in this regard too. Overall, I think that this is a great racing game for the Xbox One. There are plenty of cars (over 200) and variety in the championships will keep you busy. 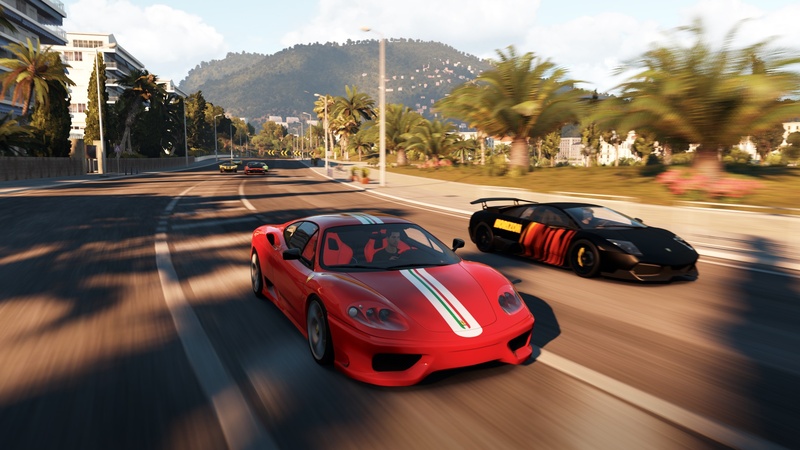 Single and multi player connections are seamless (you can even drive around in single player while waiting to connect to an online session). You soak in the incredible visuals while racing on many varied races and off road challenges. There is even more fun to be had with friends and you can see the developers have created this as a social game in mind. I think Playground Games and Turn 10 Studios have done an amazing job in making a game that appeals to so many car fans. 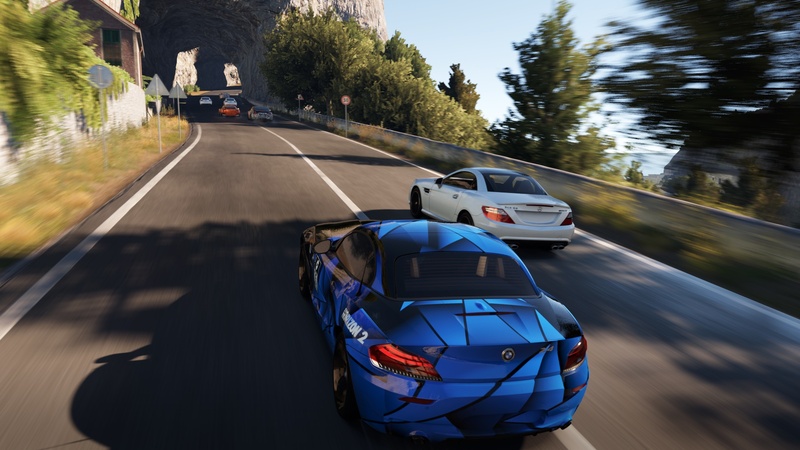 Whether you want to paint, tune, race, socialise or just cruise Forza Horizon 2 has it all. Score – 9 out of 10.